Hello everyone, it's Leandra here with you tonight, before we launch into the new topic, which I sense you are all going to LOVE! Let's see who won the last challenge for the Pearlescent topic! She got on a bit of a roll with challenge entries over the last 2 weeks, and even snuck an entry in at the 11th hour of the challenge deadline! The random number fell on her black and white entry, but all of them were quite different with a touch of pearlescent about them all! Congratulations! 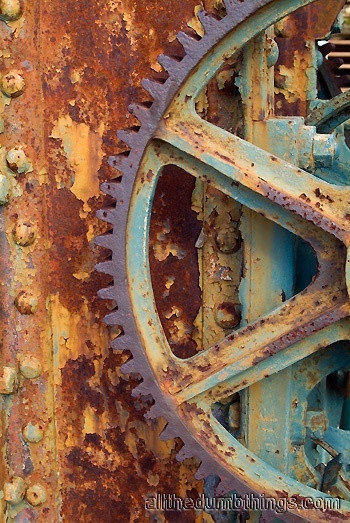 So we had no shortage of bloggers wanting to play with rust for the new topic, and that doesn't surprise me, as the whole concept of making things look rusty has been super popular in mixed media circles for the last few years. 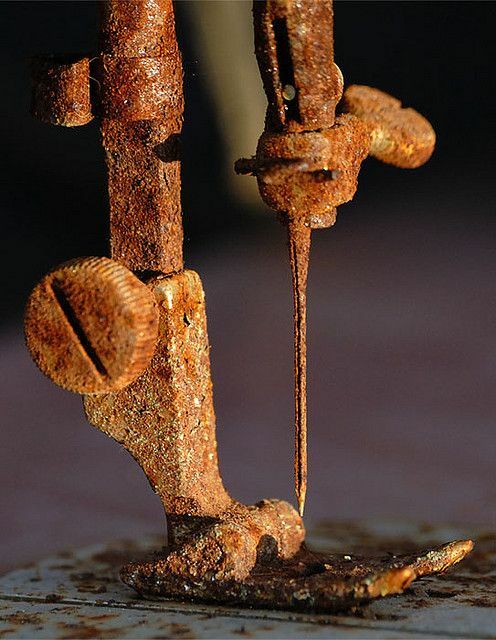 Whether you are working onto fabrics, wood, metal, even glass, creating a rust patina can be done in all kinds of ways, and in this post I'm going to share a few with you. Please feel free to join in the blog challenge by linking your own creativity at the foot of this post to any of you online social media links. Experiments from Alice Fox onto fabric with objects that can be rusted. 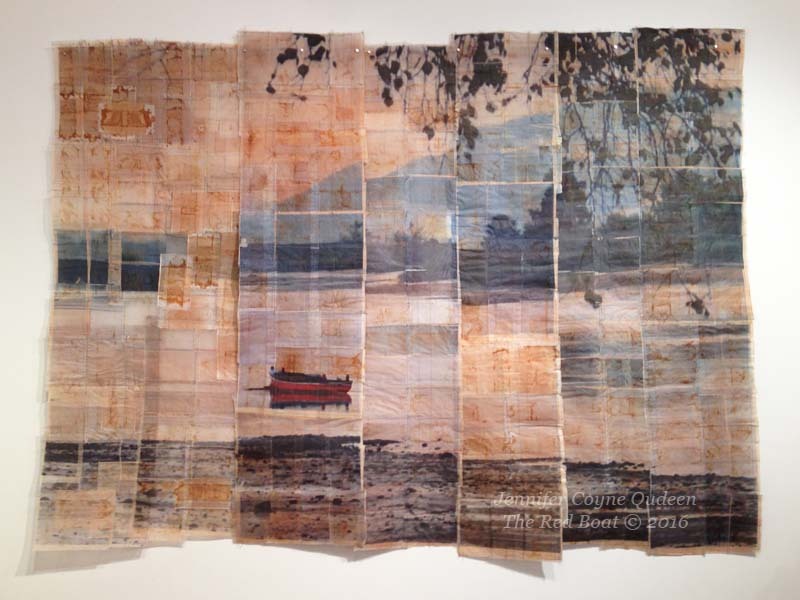 I particularly loved the blog post she shared of an exhibition, the piece below was one on show. 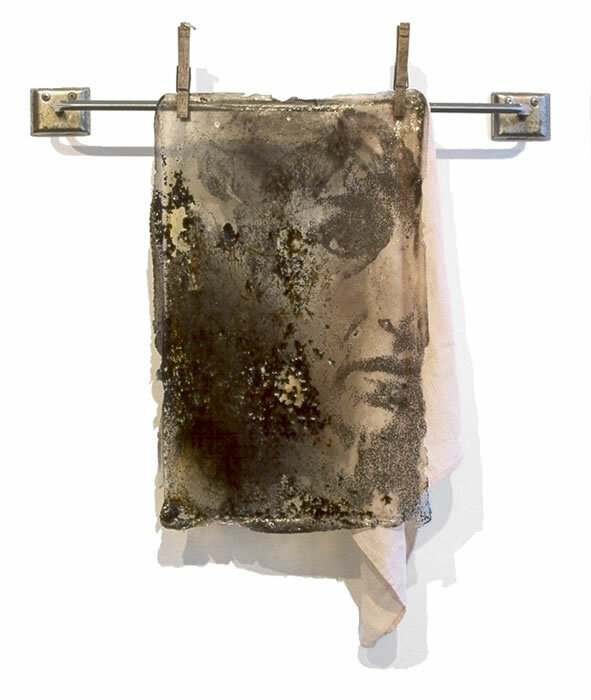 It is fascinating how rusty fabric is so popular, yet lots of Artists create their own take and pull together the inspirations in different ways and methods. 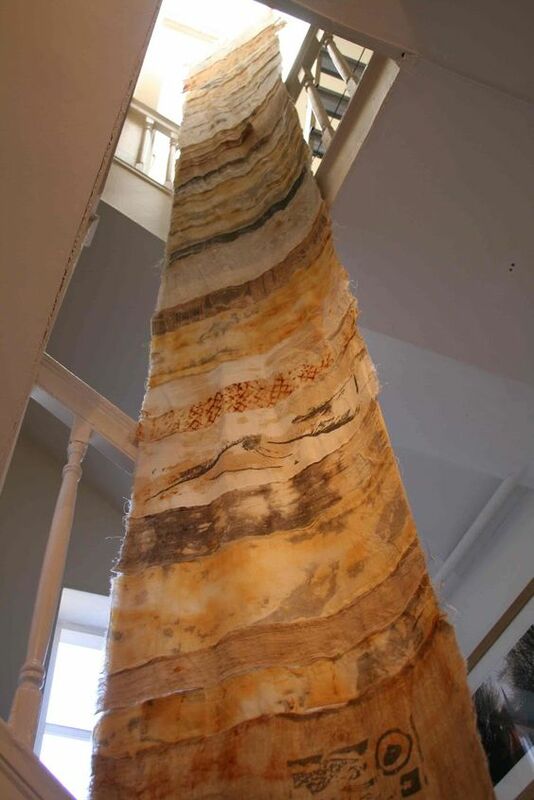 And then here is the finished piece being exhibited. See here. 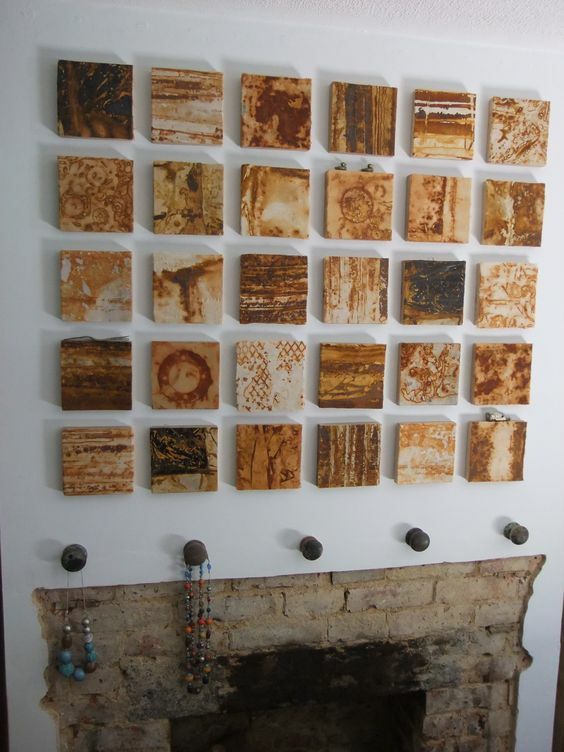 She also uses her fabrics rusted in all kinds of ways to create a wide range of objects, dimensional and flat! Even displaying rusty fabric can be done simplistically to great effect. And one of our own designers, Lin Brown, is also a dab hand at rusty fabric too, here is just one photo from her blog, but there are more if you follow the link. I adore how she brings her layers together so perfectly! 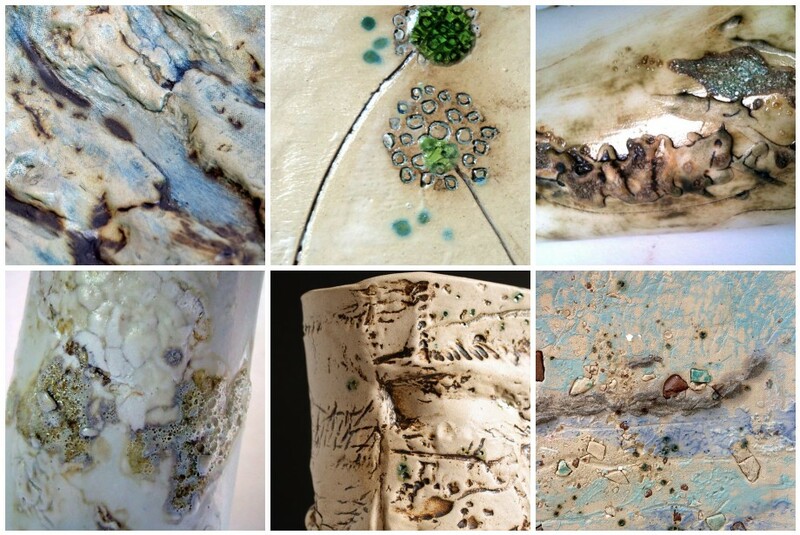 ... to inspire her when creating her ceramic art such as the samples below. Cracks, layers, light and dark. Beautiful! and how amazing is this! Take a bureau, add some paint, tadaaa. Here is our own mixed media specialist at rusting things...or at least, using Frescos to make something look rusty! Nikki Acton is a genius at this, see the details here on her blog. 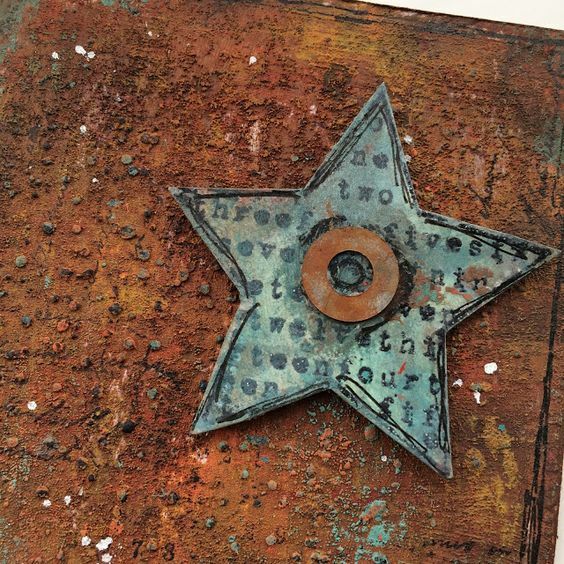 She has many posts using paints to create rusty effects, and the example below is gogeous with thos classic colours of patina and rust! The textured heart allows for shades to play in the light. Totally gorgeous, love the crackles too! Plus she gets loads of Seth Apter stamps and dies in the mix so cleverly! 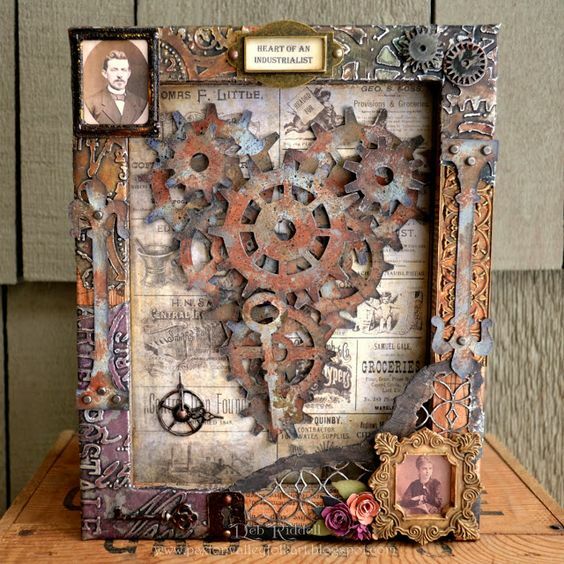 Deb blogged this piece over at Paxton Valley Folk Art , such a beaut using all kinds of products, including metal tape, embossed and coloured, die-cut shapes painted, and the whole frame ebellished. 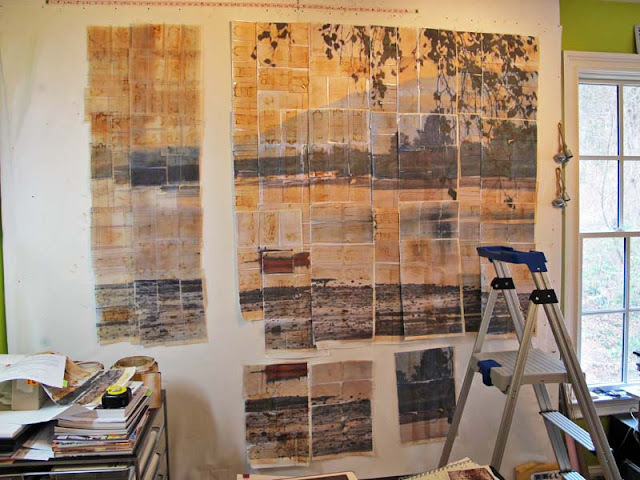 And here is Finnabair with one of her typical layered compositions. 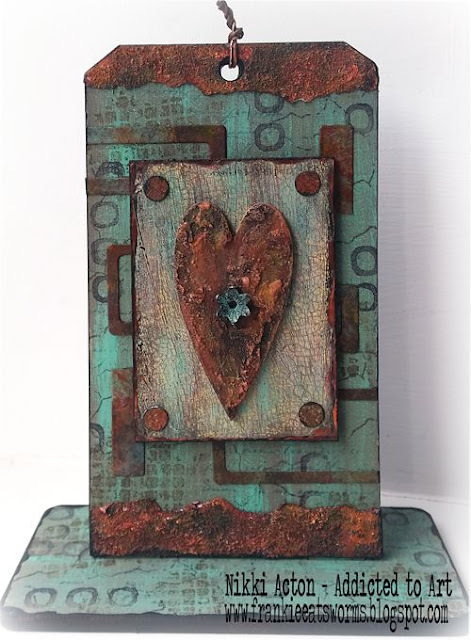 The cool thing about this idea, layers of textured objects, is you can apply any colour of paint to your base layer, then create a rust effect from there. 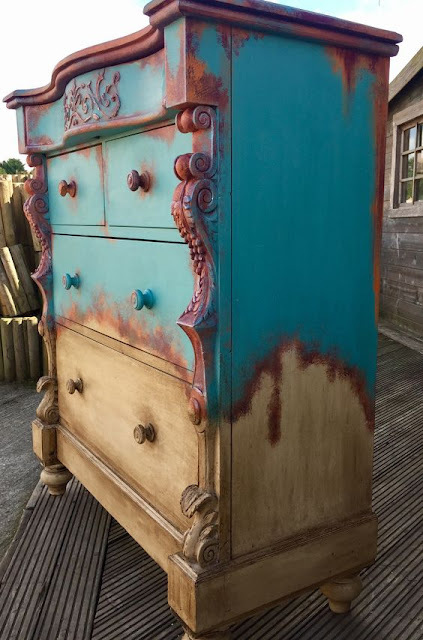 This could be purely with paints and stippled layers, tickled with Treasure Gold waxes, or (and I've been wanting to try this for ages) ...how about painting shades of patina blue/greens onto the base, and then applying Rusting Powder?? 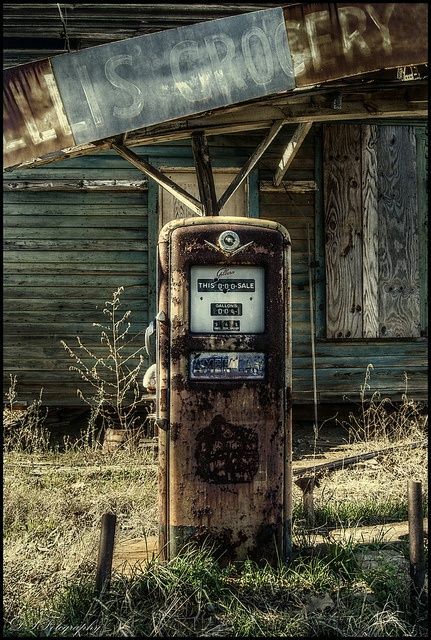 I'm thinking a base in shades of turquoise-green patina, then you could apply a layer of gel medium, sprinkle all over liberally with rusting powder, tip off the excess. 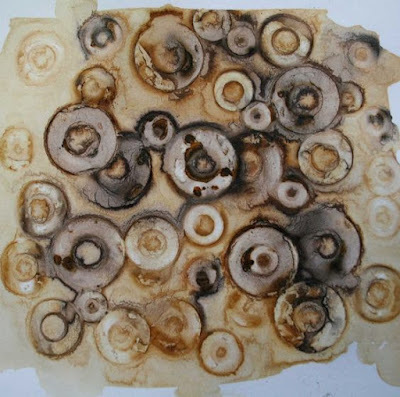 Once the gel is dry, you are then ready to rust the powder by keeping the powder damp for at least one and probably more like 2-3 hours, and of course, the rusty effect will develop. If you add a bit of acid (vinegar) to your water it will speed up the effect, or you could just put the canvas outside and let the natural elements do the work for you over a period of days or even weeks! 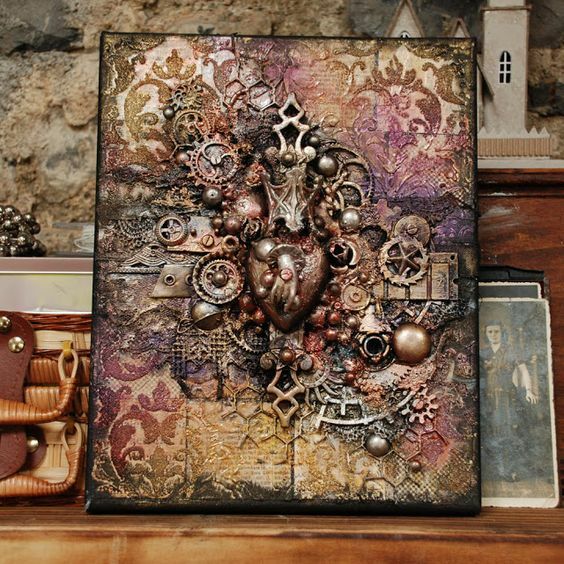 Another rusty mixed media guru is Laura Bomber. 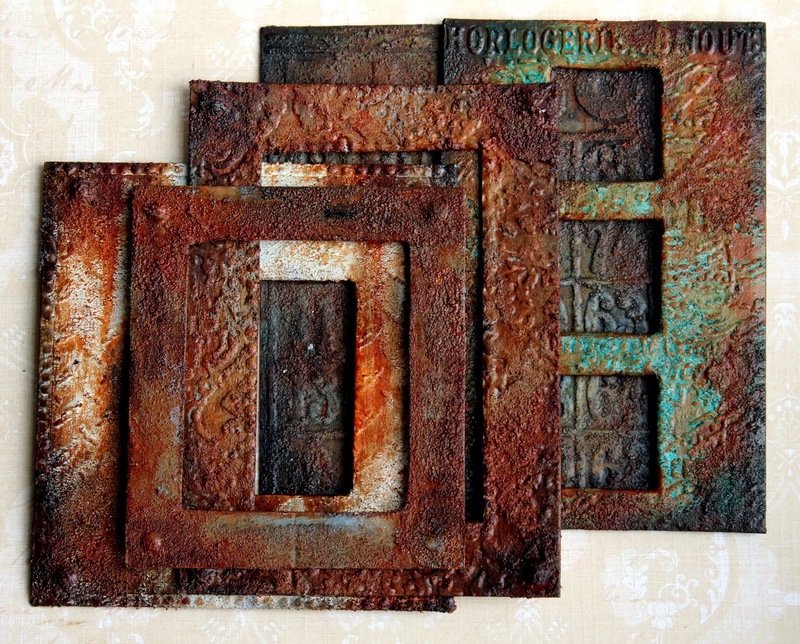 If you check out this blog post she shares how she created all these frames using different painterly techniques. 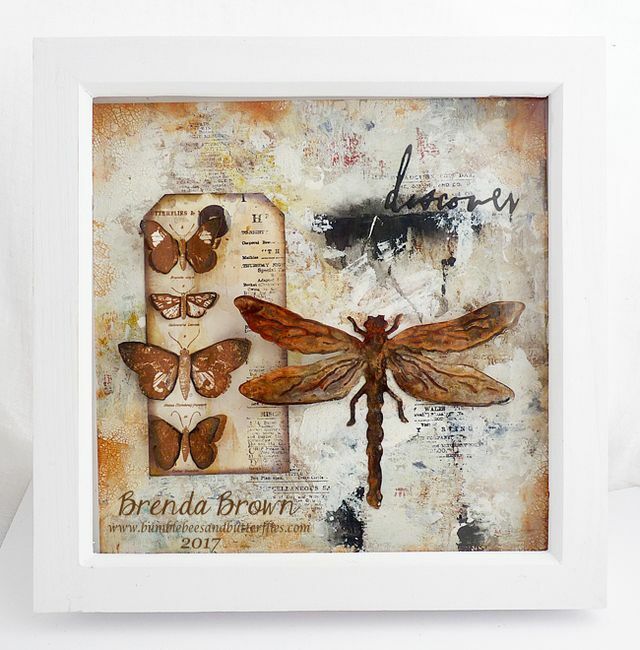 Brenda Brown created another gorgeous piece here with paints, and there are wonderful photos on her blog explaining how she created this. 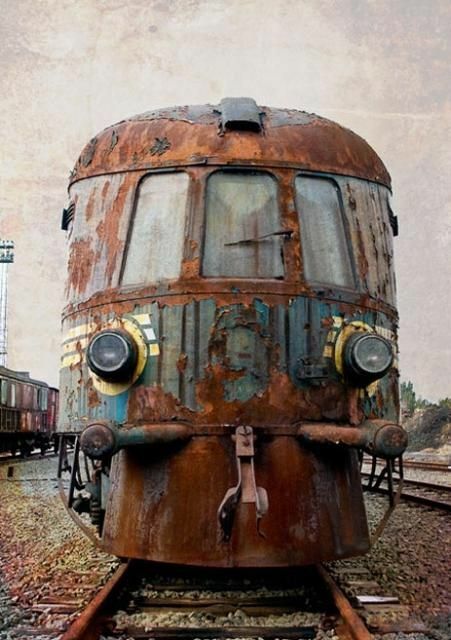 Ruth Mescall is another rust addicted crafter. Check out this post for more ideas. And how cool is this from Sally Mankus!! 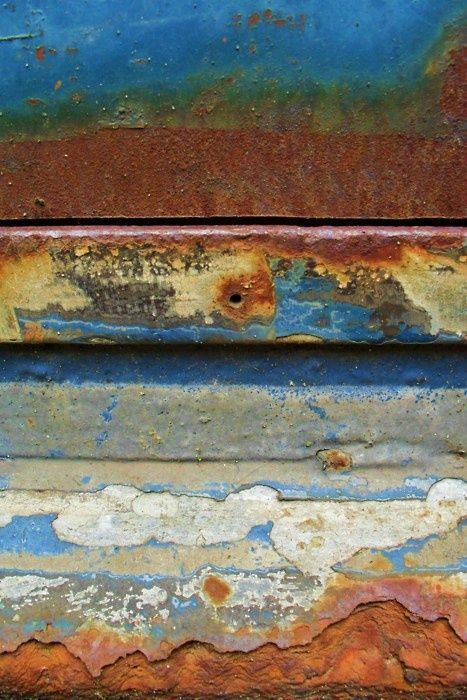 An acrylic skin with embedded rusty stuff! See here for details! 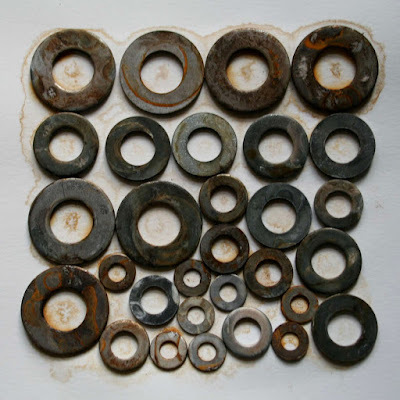 OK, so I could go on and on sharing mixed media rusty things, so let's move on. What about rusted objects? 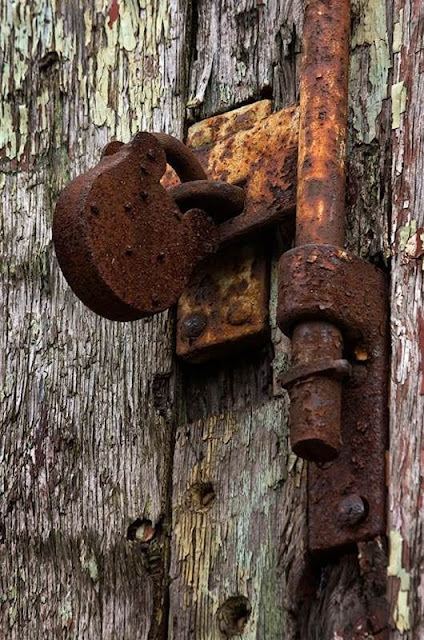 What can you find in a local dump, on the side of the road or have you got a stash of hidden objects in the corner of your garden with some rusted treasures? 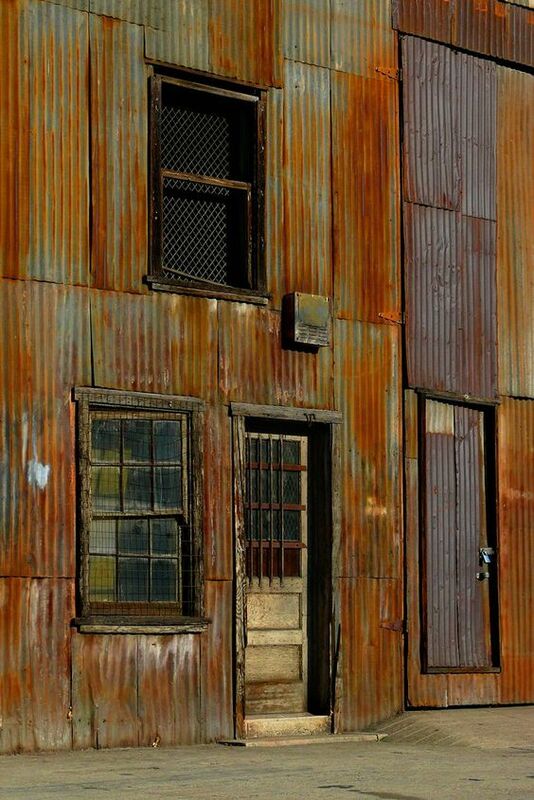 Corrugated iron always rusts to perfection! 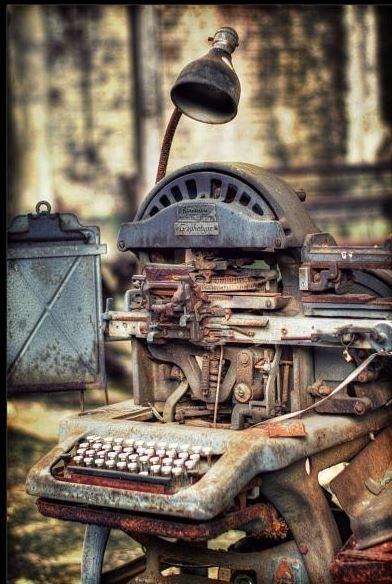 We actually have one of these rusting here on the farm...a newer version though, so not quite as 'pretty' as this! 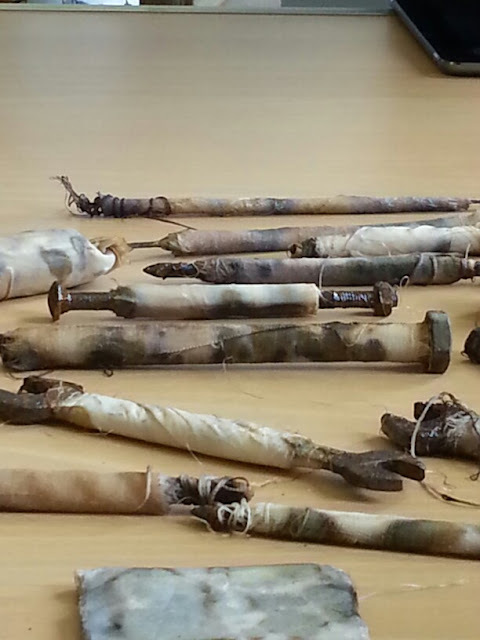 or maybe you have loads of these lying about?? 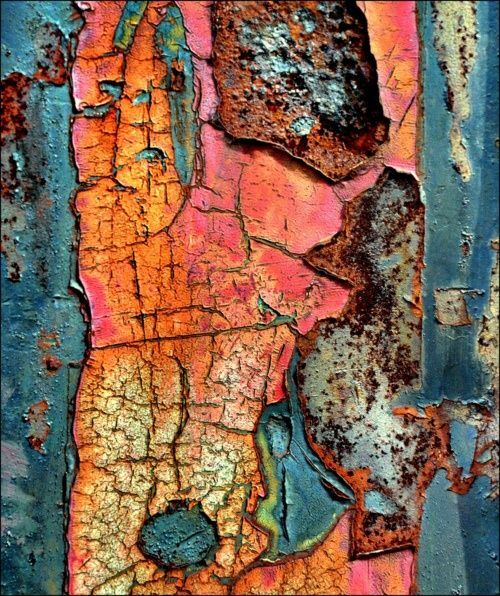 Finally some art, the layers of peeling and cracked paint always has massive appeal to me, I could fill any room with this type of creation, I love the colours and this style of abstract art. How hard can it be to do something like this ..worth a go I reckon! So as I said at the outset, no shortage of ideas for this topic! I think you're going to enjoy yourselves! I know our bloggers have! Wait to you see what they have been up to ober the coming 2 weeks!.... Have fun! The current topic link will close 17:00 (London Time) Sunday, 12th November 2017, and the winner will be announced 2 hours later at 19:00. All links go in the draw to win a £50 voucher to spend on products of your choice from the PaperArtsy online store. A great topic and you found some amazing art to inspire us already. Well done on your win Craftyfield! Congratulations Craftyfield. Great new topic!! Such a fabulous topic.... and the post was so inspirational - some great research into the topic! Incredible. Love the look of rust. Great work. Cannot wait to see all the postings in this topic -- definitely a favorite of mine. Wow, definitely some fabulous inspiration here!! 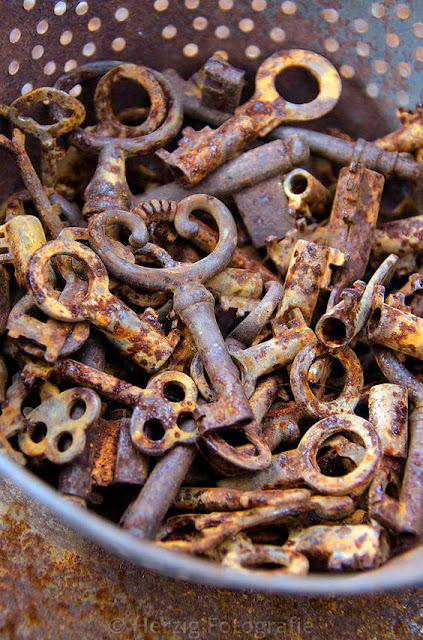 Wonderful topic, I love rust. Great samples to inspire, thank you. Congrats to Christine from Craftyfield!!! Great new challenge and inspirations!! !